For aeons, most printers have traditionally used a combination of CMYK – cyan, magenta, yellow and key (that’s printer speak for black) – for colour printing. 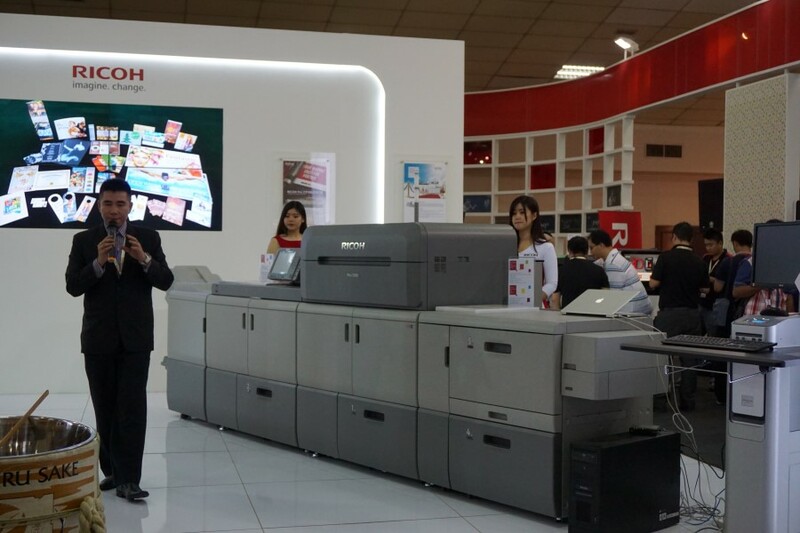 Ricoh’s changing the game this time around with the launch of their new Ricoh Pro C7100x series of commercial printers. It’s not exactly something you can set up in your own home office though as these are sized and designed for large volume commercial applications – think printing press and larger; unless you happen to live in Beverly Hills that is. Consisting of several subvariants and multiple optional add ons that enhance the way it handles incoming paper feeds and functionality, the C7100x series aims to go beyond the traditional CMYK colour gamut that, combined, are able to derive the majority of colours used in print by adding in a new 5th colour – clear gloss and white toner – on top of the usual CMYK. Clear gloss is able to offer a translucent finish offers more interesting effects to print jobs like spot gloss, watermarks and more while white toner adds in more brilliant whites. 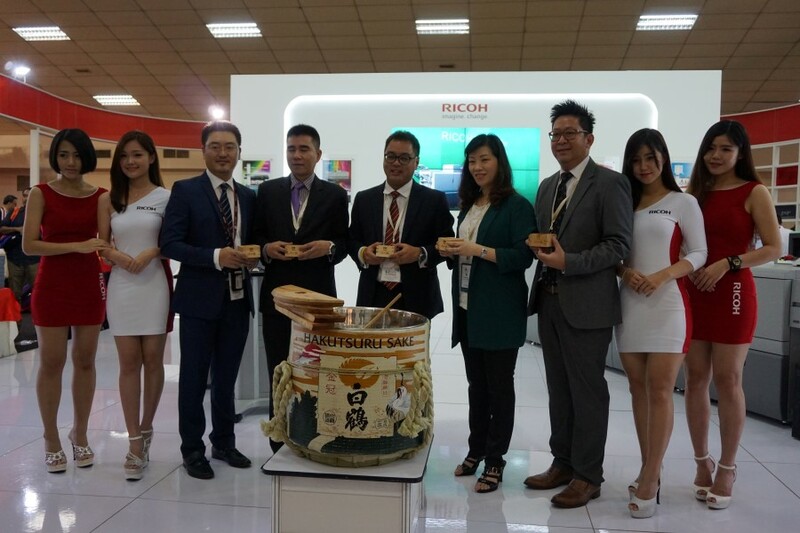 From left: Mr. Nick Tan, General Manager of Marketing of Ricoh Malaysia, Mr. Ricky Tan, Senior Manager of Production Printing Business Group, Product Marketing and Business Development of Ricoh Asia Pacific, Mr. Peter Wee, Managing Director of Ricoh Malaysia, Ms. Alice Lee, Sales Director of Ricoh Malaysia, Mr KL. Loh, Head of Prodution Printing Business Group of Ricoh Malaysia. The Ricoh Pro C7100x series is able to print at up to 90 colour pages per minute and at a print quality of up to 1200 x 4800 dpi and is able to print on a variety of media including synthetic, textures and more with sizes of up to 700mm in length; essentially the size of a bunting. The price for such impressive magnificence? A lordly sum of RM400,000 and up though such a printer has been rated to last you for five years and up. Also launched today was Ricoh’s new generation of high volume digital presses – the Ricoh Pro C9100 and C9110, both of which are designed for high volume printing; think something on the order of 130pages per minute with a monthly volume of up to 1 million A4 sheets. 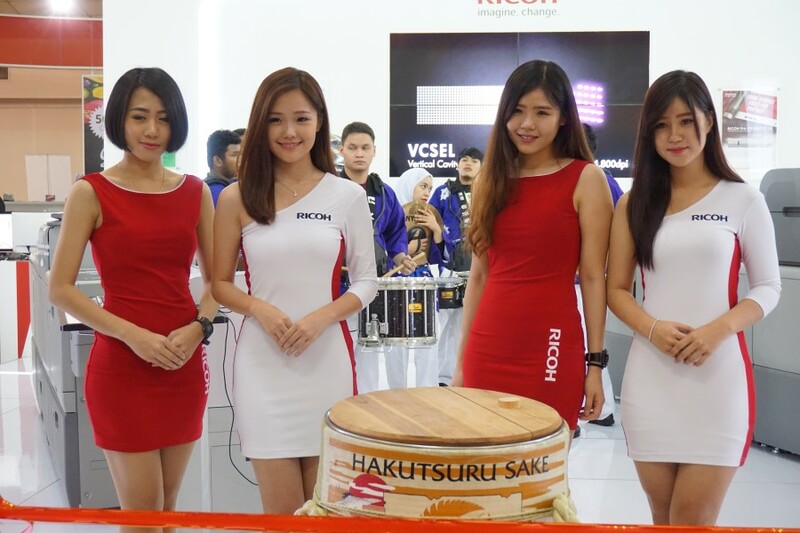 Naturally, such performance will cost you and the C9100 series will cost RM700,000 and up. Swing by www.ricoh.com.my for more details. Previous: FUJIFILM X-E2 – Even faster so the moment cannot escape.